Bring the flavors of the season together in this warm and comforting Yam and Tomato Soup with homemade croutons! I’ve always been one to sort of chuckle at the perennial cavalcade of ‘seasonal’ dishes. Pumpkin-Everything with a dash of spice through October, and countless incarnations of potatoes and turkey through November, with a nice side of ‘creative leftover-in’ to seal the deal. Yet, as much as one might tire of this predictable procession, there’s no denying its allure – even to those of us who help put it together each year. Who can deny that there’s a certain charm to having chilled tossed fruit salads in summer, or that certain types of vegetables (and fowl) pair best with Thanksgiving. Certain things simply ‘taste better’ at certain times of the year, be this psychological, evolutionary, or by force of tradition. 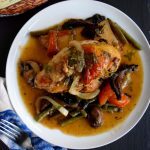 Naturally, I thought immediately of the herbed chicken I just posted for the Yarden and Galil wineries post I just did, with its nice array of ‘rustic’ flavors and copious roast garlic background. However, I wanted to pair something alongside it, something that would serving as a ‘warming’ first course – and that’s where today’s Yam and Tomato Soup comes in, topped with homemade croutons. To start things off, we begin by baking the sweet potatoes…who would have thought, right? You want them roughly fork tender, so that the skin slides right off, and then dice them. After that, heat large a sauce pot with olive oil, and add in the tomatoes, onions, and garlic, and sauté until they’re fragrant. Once that’s finished, add the sweet potatoes we diced earlier, along with fresh parsley, basil, and seasonings listed below, and let that continue simmering over a low heat, while adding in vegetable broth one cup at a time until the soup reaches your desired consistency, and then let it simmer for another thirty or so minutes. Naturally, I’ve named the accompanying croutons “Quick and Easy,” and I promise that naming convention is the farthest thing from being ironic. Honestly, they are, and yes they do taste better than anything you can buy at the store, with the added flavor of being able to impress your guests by telling them that these tasty bits of crisped bread aren’t store bought. First, slice up about four slices of white bread until their nice and golden – note that you can do this with basically any type of bread you prefer, I just happened to have white bread on hand – don’t give me that look. Then allow the toast to sit out and harden. Yes, leave the bread out on the counter, covered, and let it…sit. I really don’t know how else to describe this…so just do it, no more questions. Then, crumble the bread up into a bowl. Next up, heat a large cast iron frying ban with a generous drizzle of olive oil and add in the crumbled toast. Now, dust the toast with salt and pepper, and allow it to become golden and to absorb the oil. Then simply let them cool, and you’re done. Bake the yams or yams until fork tender; remove the skin and dice. Heat a large sauce pot with the olive oil. Add the tomatoes, onions and garlic and sauté until fragrant. 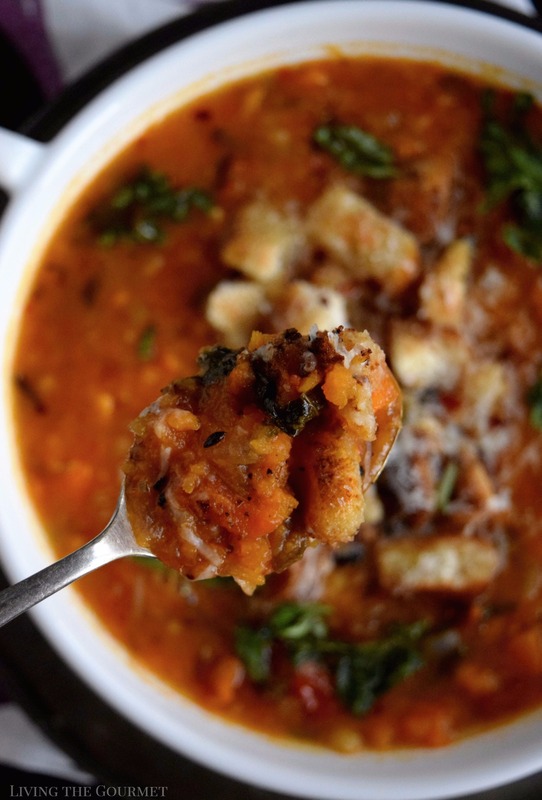 Add the diced sweet potatoes, parsley, basil and seasonings and continue to simmer on a low heat. Add vegetable broth one cup at a time so that you bring the soup to the consistency that you desire. Simmer on a low heat for approximately 30 minutes or so. Taste the soup to adjust for seasoning. Combine the lemon juice and honey and drizzle a little over each bowl of soup. 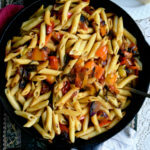 Serve with croutons, grated Romano or Parmesan cheese and ripped fresh basil leaves. Allow the toast to sit and get hard after it is toasted. Crumble the toast in a bowl. Heat a cast iron frying pan with 3 tbs. olive oil and add the crumbled toast. Dust the toast with salt and black pepper allow the bread to become a beautiful golden color and absorb the olive oil. 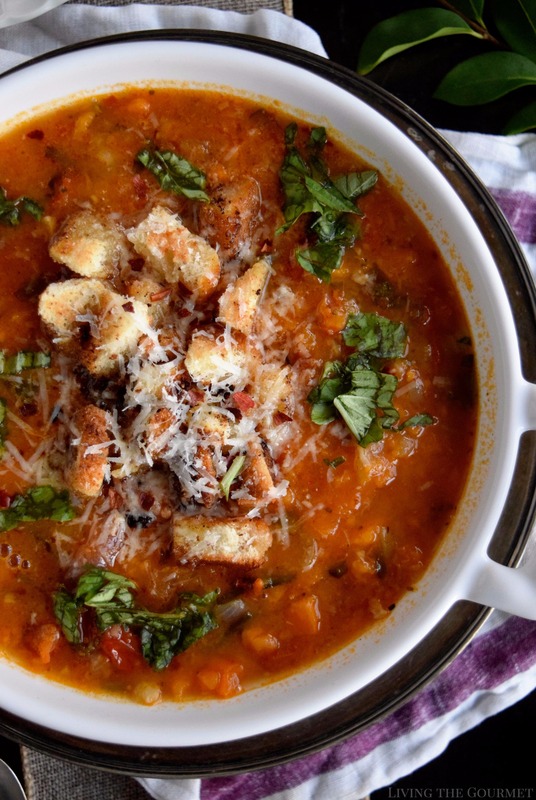 And just like that, you’ve got the perfect autumn soup with homemade croutons. I love seasonal food..this looks soul comforting and delicious! What a great warm soup for the season. It's unique and loaded with all the things that we love! 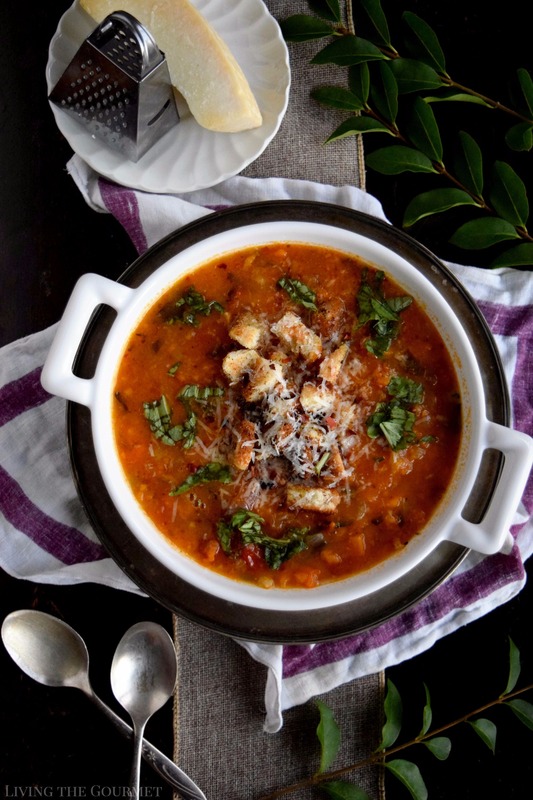 This is no ordinary fall soup! So lovely, gourmet and delicious!! Can we just talk about how incredibly fantastic your photography is?!!! THeis looks delicious! Also, I gotta admit this year i'm getting on the pumpkin train. It started out with just wanting to share my pumpkin pie recipe and turned into 5 other recipes I just had to do too! EEEK! Forgive me! 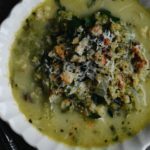 This soup is perfect for that weird time between the end of summer and the start of actual fall weather. Plus who can turn down homemade croutons? Wow, that looks fantastic! 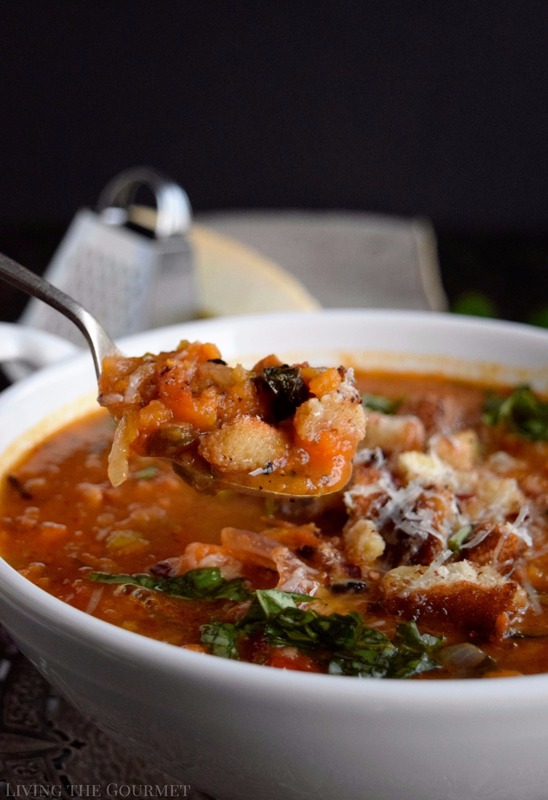 What a great idea for a fall soup. I would have never ever thought of combining yams with tomato in a soup. This is just so brilliant and I love your clicks. It makes me want to try it right away. 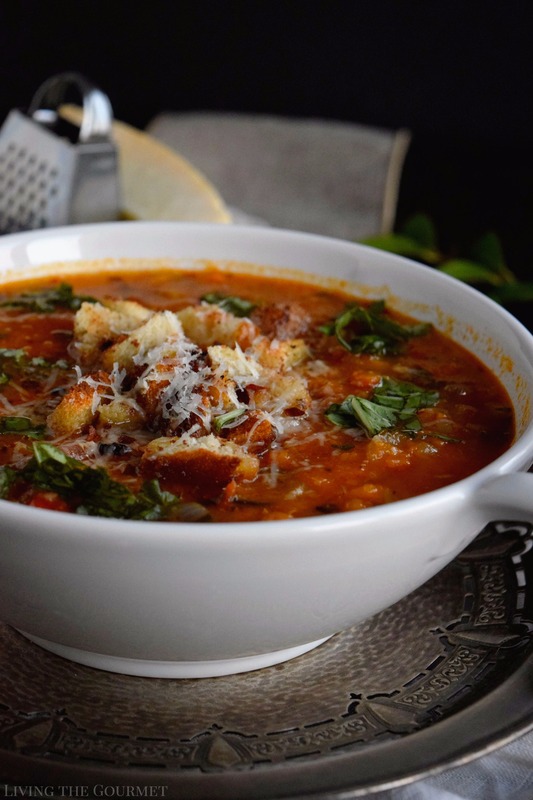 Winter is coming soon and I am happy to stock up on these yummy soup recipes. Your soup looks amazing! I'm a big fan of all these flavors so it's definitely a must-try! I just started making homemade croutons, as well....definitely never going back to store bought! Oh this soups look so hearty and scrumptious. I love the color and flavors in here. Love the croutons. 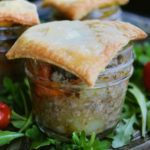 Really loving this recipe for fall right now! It looks so beautiful and delicious. Always a big fan of delicious soups around this time of year! I love this! 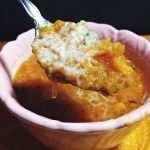 Soup is my favorite meal and all the ingredients in this list are on the top of my preference list!